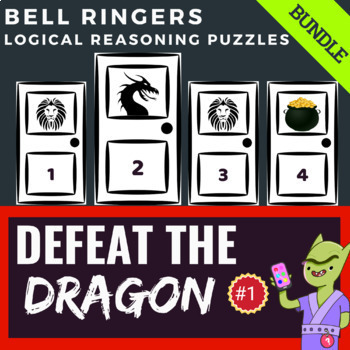 We’re working on new puzzle collections every week — this week, we will release a new version of our popular Defeat the Dragon logic puzzles. We’ve spent a lot of time in classrooms recently, and thought of some improvements – such as combining both a worksheet version in black and white, as well as a color version in landscape so it projects well. We also are adding an activity to Defeat the Dragon and some of our other puzzles as well. Your thoughts on this would help a lot! What do you find to be the most useful in your classroom? And of Course, Halloween Logic Puzzles for Middle School Kids! 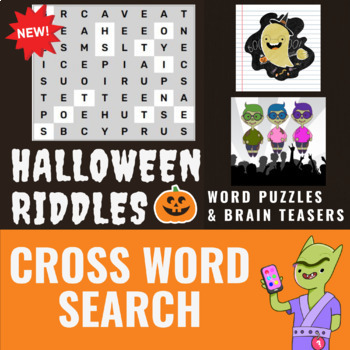 What Have Teachers Downloaded Most from PuzzleMonster? 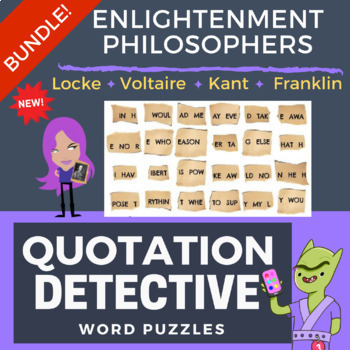 Our Quotation Detective puzzles for middle school have been really fun to create and are also one of our most-often downloaded resources. Right now, we have one awesome set released — the Enlightenment Philosophers. It works really well as an activity and makes you think at the same time. We’ll be offering a new version in the upcoming weeks that covers the Industrial Revolution. Would you like us to cover some other topics? Just let us know! Do you Tweet or Pin? We do! If you want to tweet with us, we’re active on Twitter!